A website is like a mirror of any brand that definitely reflects the credibility and worthiness of any brand. First thing that any web visitor observes and experiences in the website is surely the colors of the website as well as the layout of the website which defines the ease of browsing the website. It is the design of the website and the whole alignment as well as formatting, either in any website or in WordPress Web Development. In this blog post, we will discuss the design trends that are really making rounds in the web design niche. Most of the inexpert website designers tend to ignore the design aspect of the website because they are more worried about the development aspect, sadly, coding does takes a lot of time. But, it really doesn’t mean that the design of the website is not taken care. It’s all about the looks of the website in creating a successful website. 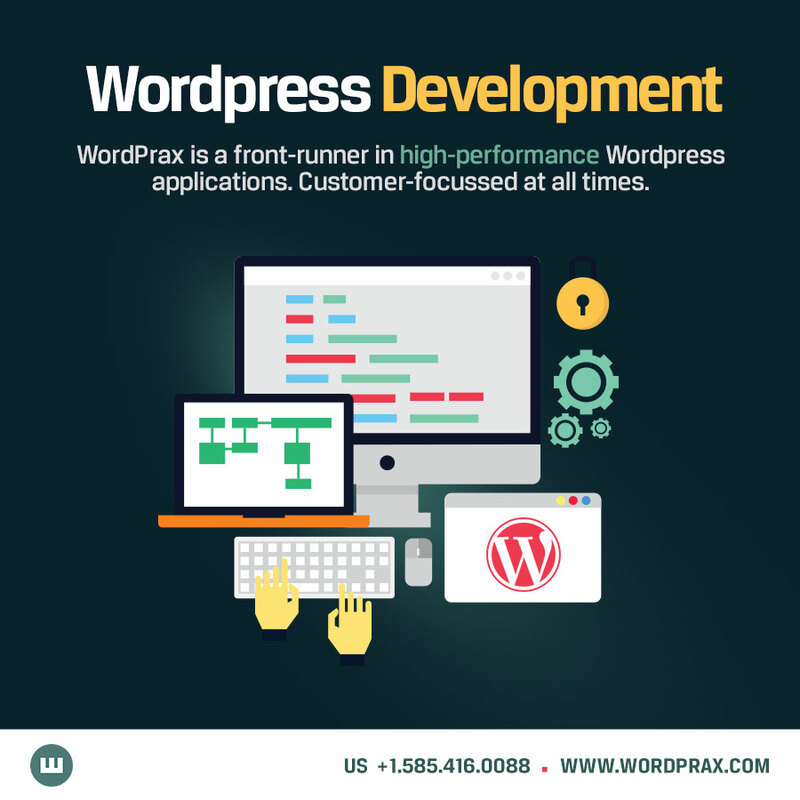 It is integrating the latest web design and WordPress web development hand-in-hand. As we already know that the people are becoming more sharper and smarter than ever and they know well when the website is made amazing with latest design trending in the industry. As the internet is more accessible to more and more people, almost all business owners are getting websites made for their brands so that they are able to reach their potential customers easily. The color of the website as well as the graphics, layout etc. are some of the factors that should be taken care in any type of web development. However, what kind of trends does your company want to look for in 2019? Are there any special trends in promoting an online business strategy? Are certain trends compatible with your brand identity? Here are the 6 trends that will be popular for website designing in WordPress web development in the upcoming years. ● Seamless user interface/ user experiences. ● Custom made graphics and images. ● Bright and bold colors as well as gradations. ● Integration of responsive mobile design. ● Easy Integration with video. People know the network better than ever. Today’s web users want a complete online experience from start to finish. If you are unable to meet this expectation, it will cause serious problems for your business. Suppose you were trying to access the site and get it. However, finding a searchable item is difficult. In addition, the payment transaction is confusing. Or are you frustrated and because you don’t want to spend money to a company, are you saving? If you are honest, you may be saved. This means that a bad UI/ UX weakens many potential sales. You may not realize how much trustworthy hints left in the bad interface. Whitespace is an empty part of the page. Technically, it doesn’t even have to be white: It means that too many graphics, and photos are not even necessary. This trend of whitespace integration is not new. Now imagine entering a house with plenty of space and warm attractive lights: A small stylish little piece of hand and hand selected. Will it not look much attractive in WordPress web development as well? The website should be similar to what we just said! If you pack too many graphic elements or too much information into a small space (no matter how much they offer value), your site will be outdated and its functionality will be reduced. If you want to stand out from the crowd, you need to visually separate your site from your competitors. This is impossible if you use a generic page template. Web templates have been improved over the years – they can be customized like never before. But they are still models. This means that thousands of other sites use the same model. Your business will not lose its crowd and its competitors will not be confused. Computer screens can provide brighter and more saturated colors than easily print media. In addition, color is one of the most powerful visual communication tools. By making messages easier to read and more visually appealing, the right color can add 40% to your readers. Because color is the first thing our brains see from the brand, it is usually the first one that attracts us. Since 2016, users are increasingly using the Internet through mobile devices, not laptops and computers. Mobile devices are the most common way to access the Internet and web designing must support mobile users. According to the ComScore survey, mobile users use twice the online time of desktop users. Need another reason to answer? Think about how people are looking for something. Google heads said that more than 48% of users started searching for content on mobile devices. The responsive web design adapts to the size and shape of the display of the device used to display the webpage. Have you ever noticed that you are watching random videos on the Internet because playback starts automatically on the Internet? Now you know what you have. Changing shoes from Nike can take a few minutes to watch the shoes. People like video. Video can draw our attention just like any other form of media. Not only that, the video can also improve your SEO rating. In order to evaluate your own value, Google measures the time spent by visitors on your pages. The more time you spend, the higher your rating. Video encourages people to stay on the site and spend more time on your site. Adhering to trends is a good way to understand where your business is going. Your website is an important part of your brand and whether you choose WordPress web development or any other CMS. Your brand and marketing strategy evolve, your website should do the same. Ultimately, your site and your brand should work together. Category: WordPrax, Wordprax Reviews, WordPress Web Development Services and tagged WordPress Web Development by The WordPrax Editorial.